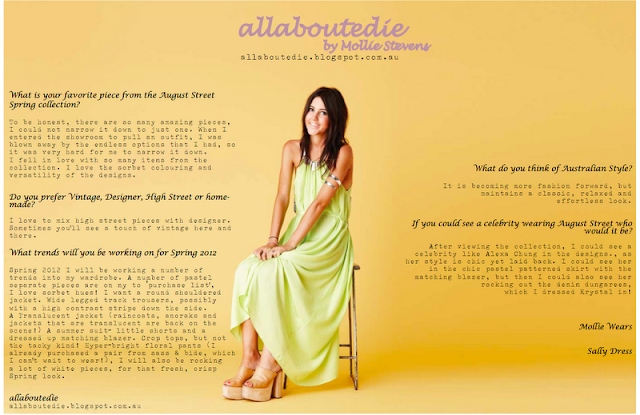 In March earlier this year, I was approached by the Australian label August Street, for the Spring 2012 look book shoot. I was asked to put on my styling cap and head to their showroom, to select a look for model Krystal and myself to have featured in the look book. I was thrilled to be chosen as one of their favourite Australian blogger's, along side Margaret (Shine By Three), Lauren (Your Only Black Swan), Carmen (Chronicles Of Her) and Emily (Little Black Book.) The two images with the Banana yellow back drop above, are the ones that I personally styled and I am thrilled with the final results. 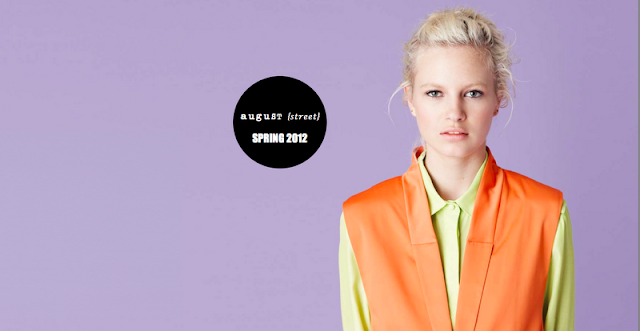 August Street Spring 2012 drops in David Jones this week.....So keep an eye out! ah amazing!! so jealous! I love August St!